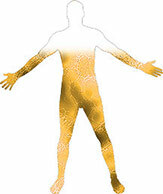 Alkalizing the body can be explained with basic chemistry and physiology. (NaCl + H2O + CO2 = HCl + NaHCO3). To begin, the border cells of the stomach produce hydrochloric acid (HCl) and sodium hydrogen carbonate (NaHCO3) from salt (NaCl) in the blood, water (H2O) and carbon dioxide (CO2). The HCl leaves the border cells of the stomach wall and enter the lumen, where the stomach prevails over acidic reactions to break down the proteins into polypeptides. 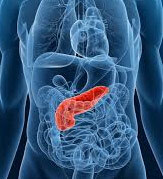 Once the polypeptides enter the duodenum, they will be further broken down into amino acids by trypsin from the pancreas. 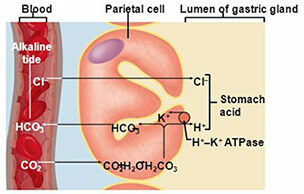 The base mixture of NaHCO3 proceeds through the blood via the ‘alkalophilic’ organs and into the intestines. These alkalophilic organs need bases (large amounts of NaHCO3) in order to produce their digestive secretions and include the liver, gall bladder, pancreas, and Brunner’s gland of the small intestine. If the alkaline reaction in the duodenum is insufficient, the digestion of fats, carbohydrates, and proteins remain incomplete and decomposition or fermentation sets in. In addition, the acids including phosphoric acid, sulphuric acid and uric acid are not neutralized and further accumulate in the connective tissues. Alkalizers should be taken on an empty stomach to avoid interference with the hydrochloric acid production needed for digestion of food. Be sure to take it 20 minutes before or two hours after eating. An alkalizer should be taken with warm water, as this allows the alkalizer to bypass the stomach through the pyloric sphincter and go directly into the duodenum to be absorbed. It is important to monitor the levels of the pH during the time of alkalizing and the pH values should remain between 7.0 and 8.0 while alkalizing, as this alkaline state helps use up the excess hydrogen ions. Dosage is generally between ½ teaspoon to 1 teaspoon two to three times daily, depending on how acidic the body is. 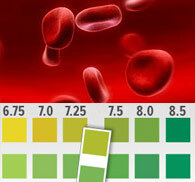 Bacterial infections of the urinary tract and many prescription medications can create alkaline urine. 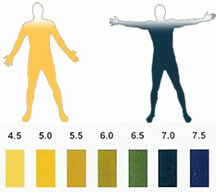 In addition, an acid block can also show ‘normal’ pH values for the urine. An acid block occurs when the body is unable to eliminate the acid waste properly from the body overnight, thus accumulates in the milieu at a faster rate. This is often due to the kidneys and is characterized by an alkaline urinary pH for the first morning void while chronic symptoms indicate an acidic terrain. While all cases still need alkalizing for acid-base balance, for cases of acid block, it is advised to look deeper into the health of the kidneys and the possible heavy metal burden.